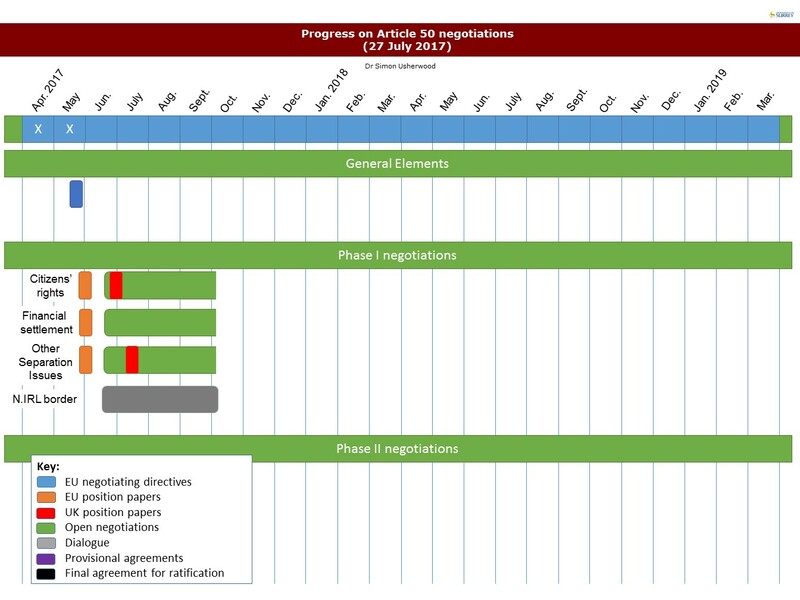 As we roll around to the summer break, I’ve updated the various infographics to reflect the (small) progress in Article 50 over the past month. 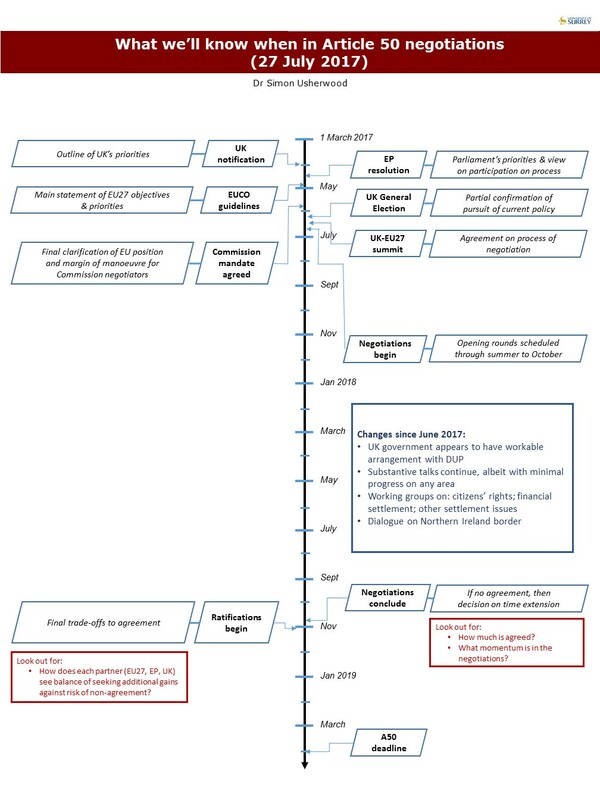 The main points to note are the development of substantive negotiations, which suggests a general commitment to making a fist of things, balanced by the very limited progress in those negotiations. 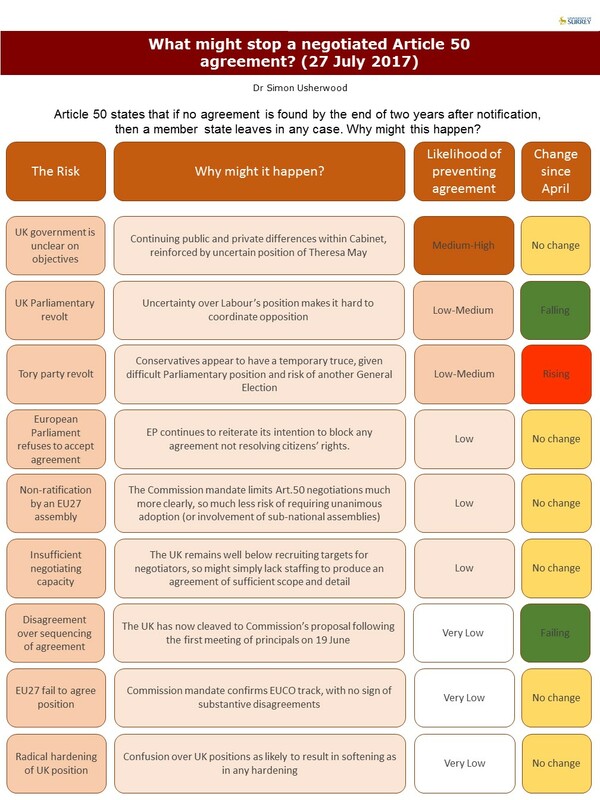 As I’ve observed elsewhere, this really just highlights the complexity of Article 50’s contents, whatever one wants, made all the more difficult by the UK still being unclear about what that might be. As always, please do point out any errors. The next update will be at the start of September, due to annual leave.